What does Storage Class of Variable Determines ? Storage Class determines the location of variable , Where it is declared. Variables declared with auto storage classes are declared inside main memory whereas variables declared with keyword register are stored inside the CPU Register. Whenever we declare a Variable in C, garbage value is assigned to the variable. Garbage Value may be considered as initial value of the variable. 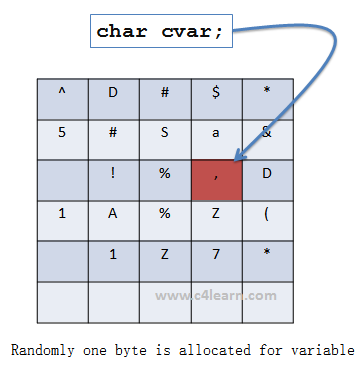 C Programming have different storage classes which has different initial values such as Global Variable have Initial Value as 0 while the Local auto variable have default initial garbage value. Suppose we have declared variable inside main function then variable will be destroyed only when the control comes out of the main .i.e end of the program.